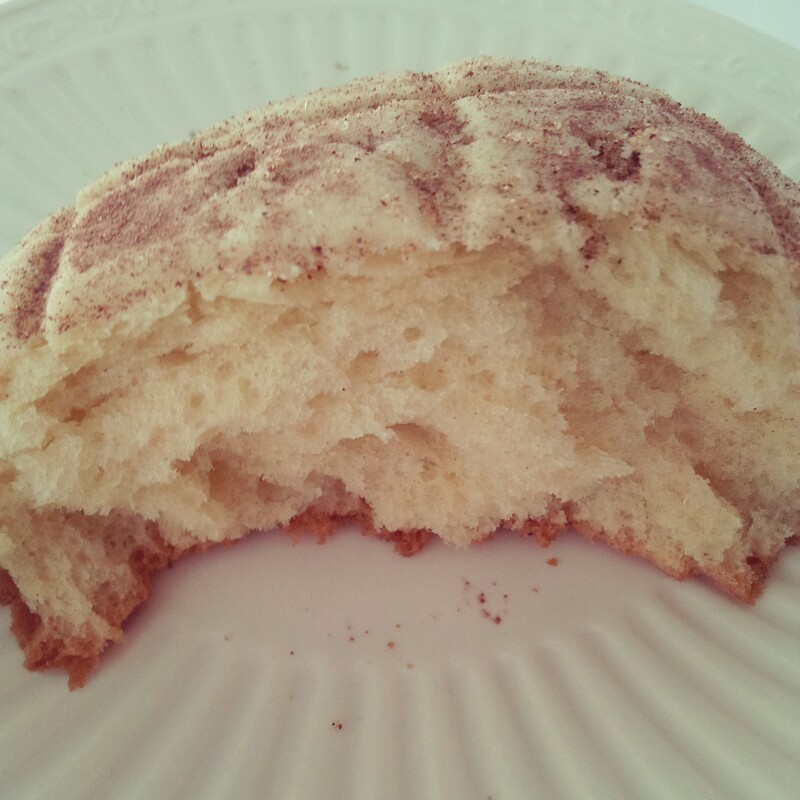 I remember when I was a little girl dipping this sweet bread in my dad’s coffee. It was the only time he would let me have coffee and I felt so grown. This pastry, known for its sugar topping that forms a seashell-like shape, is one of the most popular Mexican sweet bread. When you take a bite into one of these, you’ll experience the sugar topping crust following a light fluffy bread. I decided to make them for my girls as we celebrated Cinco de Mayo; they absolutely loved them! When you make these, eat them fresh out of the oven. They are just so so good! You gotta try them! Let me know if you do. It’s quite an accomplishment. In the half cup of lukewarm water, mix well the instant yeast and 1/2 tablespoon of sugar. Allow to sit for 10 mins until its creamy. You might see it rise. Add together in a electric standing mixer bowl on low speed, using a dough hook, flour, 3/4 cup sugar, and salt. Add eggs. Stir in the yeast mixture into the bowl with the remaining ingredients. Knead on medium speed for about 3-4 minutes. Add the butter and continue to knead for another 6-8 minutes, or until the dough is elastic and smooth. With a spatula, scrape the dough into a clean mixing bowl greased with butter. Cover it with a clean kitchen towel or plastic wrap and place it on top of your stove. The heat from the pre-heated oven will help the dough to rise. Allow for the dough to rise for at least 2 hours. It should double in size. Place the flour and powdered sugar in a large bowl. Using your hands, incorporate the butter and vanilla into the flour mixture. Knead until smooth. It will not have an elastic consistency or texture. If you try to pull it apart, it will break. That is fine. Cover the sugar topping with plastic wrap and refrigerate. Grease baking sheets with butter. Keep your hands greased. This will help shape the dough. Using your hands, Make about 2 inch balls of dough. Then, slightly press them flat in a thick disk. Place them about 2 inches apart so they have room to expand. Once you have aligned the baking sheet with dough disks, cover them with the sugar topping. Grab about a tablespoon of sugar mixture and make a round ball with your hands. Flatten it thin, like a tortilla. Place it on top of the dough disk and slightly press down covering most of the surface. Press the sugar topping with a buttered knife making curved lines; leaving an impression of a seashell. Try not to cut through the sugar mold. Leave the prepared conchas on top of your stove covered, and let them rise again, for about 2. Preheat the oven to 350 degrees. Place the conchas in the oven for about 20 to 24 minutes, until the conchas are slightly browned around the edges and look fluffed up. These were my favorites growing up–they were such a treat! You have a great blog. I’m looking forward to your stories and photos in my reader.